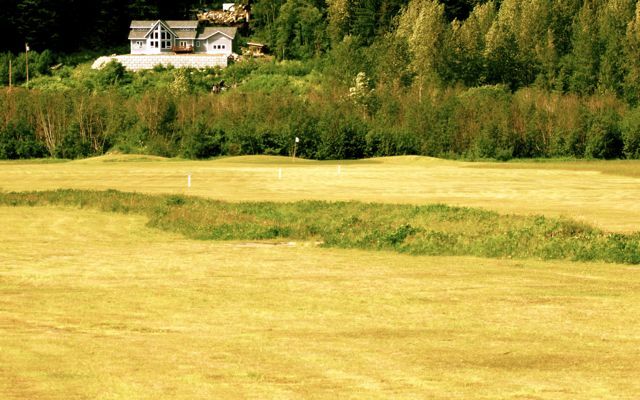 The longest hole on the golf course, the par 5 starts off with difficult tee shot. With a deep creek running the length of the landing area, the angle the player takes with his/her tee shot is crucial to finding the fairway. A wide fairway provides a relatively simple lay-up shot. The player that goes for the green in two can find trouble off the back in the form of deep rough and a pond. A great risk/reward hole where an eagle can really jump start your round.